Peruvian food has gained world-wide appeal, thanks to its fresh and unique flavors. Peruvian food is fun to prepare, and most of this menu can be made ahead of time. One ingredient that you will need for authentic flavor is aji amarillo, a pretty bright orange chili pepper that is essential to many Peruvian recipes. You can find aji amarillo frozen and jarred at many Latin markets, or even order it online. Small jars of aji amarillo paste make great party favors so your guests can go home afterward and cook more Peruvian food! 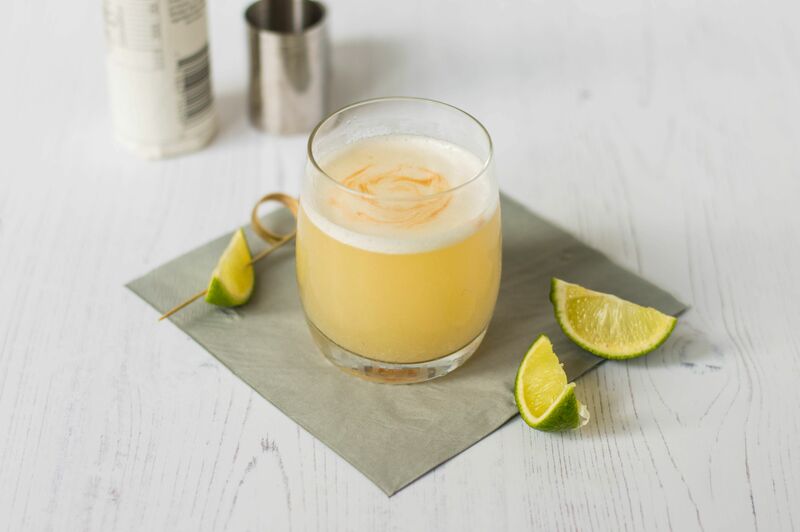 Hand these famous, classic pisco sour cocktails to your guests as they walk in the door and your party is guaranteed to be a hit. Use the freshest, tartest limes you can find to make these - thin-skinned Mexican limes or key limes are best. If you are hesitant to include the egg white (which provides the characteristic froth), make frozen pisco sours and leave it out. Cancha is a popular snack in the Andean countries, often served alongside ceviche. It's made from a special variety of corn (maiz chulpe) that doesn't pop like popcorn but instead swells into a sort of homemade corn nut. Cancha is great for parties - everyone loves to munch on it while enjoying their pisco sours, and it's easy to prepare. You can find maiz chulpe at Latin markets and online. Humitas are an early, pre-Hispanic food that is still popular today in Chile, Peru, Ecuador, Bolivia, and Argentina. They are made by grinding fresh corn kernels with seasonings and lard and steaming the mixture inside of the corn husks. Show your guests how to wrap the humitas. It's fun and interesting to learn how, and they only take a few minutes to steam. Seco de cordero is a delicious Peruvian lamb stew. Seasoned with aji peppers, cumin, and lots of cilantro, the lamb is braised in beer until it's tender and flavorful. Yellow potatoes cook at the same time and soak up all the great flavor. You can make this ahead - it tastes even better the second day. Serve seco de​ cordero over South American-style rice, with salsa criolla on the side. The star of this salad is choclo, a large kernel variety of corn that grows in Peru and other Andean countries. Choclo has an unusual nutty flavor and chewy texture that most people fall in love with. You can find frozen choclo at Latin groceries. A dessert whose name means "the sigh of a woman (from Lima)," must be something special. Suspiro de limeña is a classic Peruvian recipe, quite unusual and delicious. The bottom layer is made of dulce de leche (known as manjar blanco in Peru) that has been enriched with egg yolks. The top is a sweet, stiff meringue made with port wine. Serve suspiro with a few small alfajor ​cookies for a classic finish to your Peruvian meal.